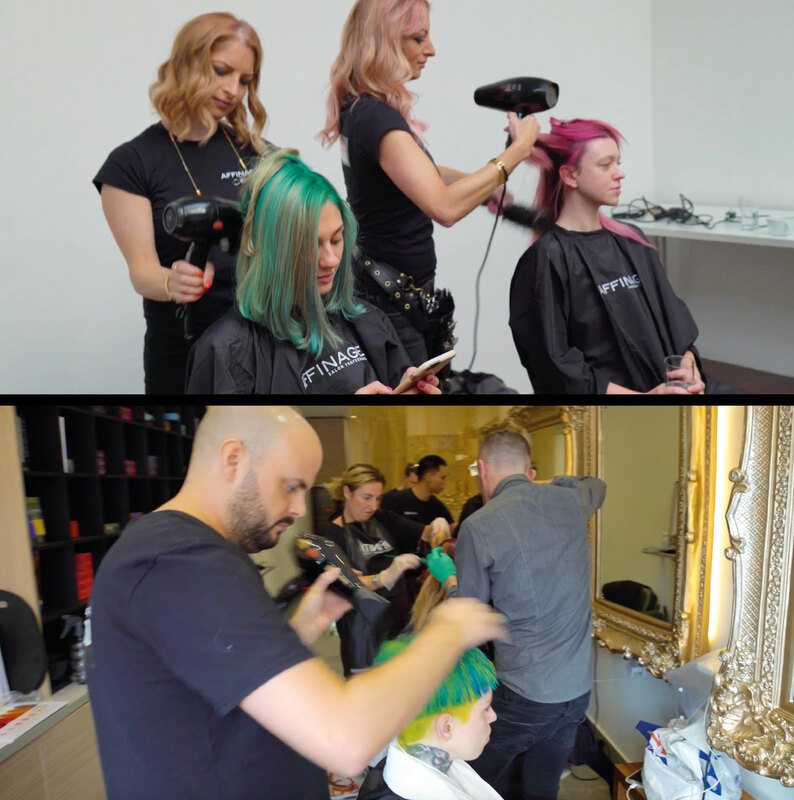 A.S.P Affinage Salon Professional are excited to share with you all the information that you need to apply to be one of our second generation Colour Rebels. As one of our elite Colour Rebels, over a 2-year period you will have the opportunity to work at shows, events and media opportunities across the UK, Europe and beyond. This is a once in a lifetime opportunity where you can expect an exciting, informative, creative and career enhancing experience that will help you grow your skills and knowledge to become a future industry icon. If you inspire others, have creativity in abundance and are passionate about A.S.P Affinage Salon Professional products then we would love to receive your application. ffinage Education team with coaching by Sara Solomon-Jones UK National Education Manager. ffinage Salon Professional Education and Ambassador team. Successful applicants will be invited to an interview on 3rd March the ASP Affinage Salon Professional Academy in Romsey, Southampton. On the day, you will be expected to present in front of group of other applicants. You will be asked to present your mood board and model representing your chosen look.